Watching today’s Google Press Conference at GDC, I couldn’t help but feel a mixture of emotions best described as a cross between awe and dread. The origin of the awe is easy to trace – the sheer ambition of what Google is attempting with their new platform, Stadia, is astounding. The notion of a unified streaming game platform shared across multiple devices feels like the first real move towards the digital-only future that we’ve been hearing about since at least the 360/PS3 era of consoles. If they can pull it off, who knows what the larger gaming ecosystem will look like ten years from now? But I still have reservations. The origin of the dread was two-fold: the first reason was a practical one – that the future that Google seemed to be promising is one that won’t truly be realized for years. The second, however, stemmed from a simple reality of the games industry – that while Google was proposing a radical future, their conference was emblematic of a standard console reveal event along the lines of the PS4’s or Xbox One’s – a great deal of style, but very little substance. Let’s tackle the first point, since it’s arguably the topic that many are going to be discussing in regard to Stadia for the next several months: Yes, Stadia is launching in 2019, which is exciting, especially for anyone with the at-home infrastructure to support it. But the reality is that the United States is a country made up of extremely disparate regions, each with varying levels of internet service regulated by various service providers. The U.S. lacks the internet infrastructure of a country such as Japan, in which the vast majority of residents have access to high-speed wireless internet. This is the reason that Nintendo’s release of streamable versions of Assassin’s Creed Odyssey and Resident Evil VII only took place in Japan – the infrastructure exists in that country to support game streaming as a viable medium of distribution. The U.S. isn’t built for it yet – especially not at a time in which Americans are about to transition into a future devoid of net neutrality. If Google’s Data Centers can sustain a game as fast-paced as Doom Eternal, it’ll be a sight to behold. But what role will connection latency play? Companies like Sony and Microsoft have been attempting to crack this code for years – it should be noted that while Sony’s PlayStation Now will likely go down in history as a depressing footnote juxtaposed against the PS4’s otherwise stellar console cycle, Microsoft seemed to find the appropriate degree of compromise in the creation of the ever-popular Xbox Game Pass. Game Pass is a subscription service, yes, but it still relies on your ability to download whatever title you wish to play. This, among other things, ensures consistency – unless it’s a multiplayer title, your game will always work regardless of your internet connection. It’s this kind of logic that dictated the outcome of this generation’s console reveals in 2013 – Microsoft was advocating for an always-online future with the Xbox One that ended up crippling their early PR message. The shape of the internet has certainly changed since 2013, but the asks just seem to be getting more and more extreme – we’ve gone from “box that requires a check-in with the internet once a day” to “games that can shut down at a moment’s notice without a stable internet connection”. I won’t pretend to speak for the other countries Stadia will be available in at launch, but it feels somewhat Icarus-esque to be reaching for this streaming-only ideal when the state of American internet infrastructure is arguably more tenuous than it has ever been. Moving on to my other issue – style over substance. To be clear, despite my practical reservations, I think that Google actually put on an incredibly exciting show today. The notion that you can easily share a link to a game, and in doing so, launch into that game almost immediately is an ideal towards which the industry should absolutely strive. 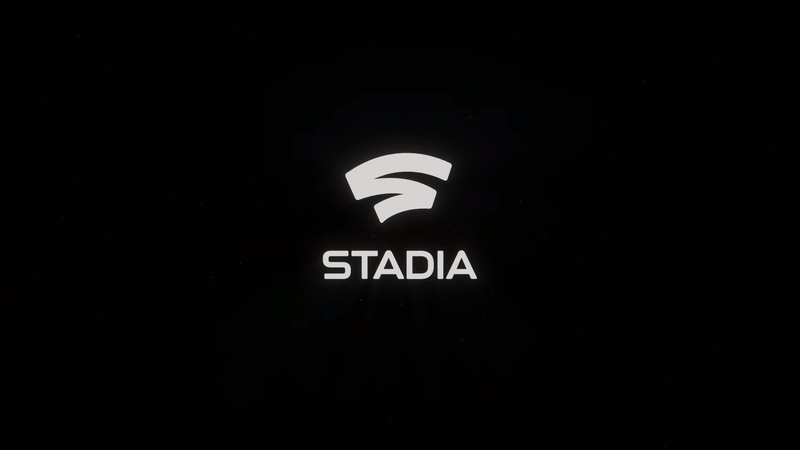 Phil Harrison did a wonderful job of outlining Stadia in a well-paced, narrative fashion, laying out its origins, the results of the Project Stream test, and Google’s vision for Stadia’s future in dramatic style. You know it’s a console event when they break out the Teraflops. There were a few jaw-dropping moments. The initial demonstration of Stadia’s ability to seamlessly transition between platforms, conducted by Harrison, was impressive. The idea that you can stop a game on your phone and start it on your computer, then transition to your TV using Chromecast raises interesting possibilities for the future of gaming. The image of Stadia’s teraflop count juxtaposed with the teraflop counts of the PS4 Pro and Xbox One X is likely going to end up being one of the most shared images from the event. Additionally, Google’s promise that Stadia would mark the likely resurrection of split-screen co-op is one that tugged at my heartstrings and got me excited for a world in which developers could prioritize those modes without sacrificing visual fidelity. But there are questions. One that easily arises is exactly what on earth Stadia is trying to be. Is it trying to be Netflix for games? Is it trying to be Steam, but shifting to a stream-based format rather than a downloadable format? Will it be a situation akin to a Game Pass or Netflix-esque scenario where certain games will leave Stadia at certain points? Or are games there to stay, purchasable at full price in addition to whatever the cost of actually adopting the service/digital console is going to be? Is Stadia literally just a console without the box? This last possibility seems to be what Google is attempting to sell, but we weren’t given much of a glimpse of the UI or how users will interact with Stadia on a regular basis. With the exception of a few proof-of-concept demonstrations, there’s no real indication as to how it will work on a day-to-day basis. How is Stadia going to interface with already-existing popular ecosystems? There was a great deal of talk about the interactive YouTube-based livestreaming potential that comes with Stadia, but what about Twitch? When it comes to game-based content as a whole, yes, YouTube is very clearly ahead of the curve, but Twitch is the quintessential home of live game content. For those content creators who don’t want to leave their homes on Twitch, will Stadia easily accommodate them? What about Steam, still the quintessential home of PC Gaming? Is the goal here to unify these platforms, or is Google proposing a one-ecosystem future in which everyone simply unites under the Google family of websites as Stadia renders other parties obsolete? There were a lot of partners in terms of tech, but very few partners mentioned in terms of third-party developer support. Verging away from criticism for a moment, here’s a question that Google can’t possibly answer on its own: how will Stadia breed competition? Stadia’s entire selling point is that it seems as though Google is the only company in the world that can even begin to pull this off, thanks to their data centers. Microsoft, given their similar origins as a tech company, might have a chance to compete with Stadia in the long run, but where do companies like Sony and Nintendo fit in this ecosystem? Is this the first glimpse of a “one-console future?” Who is Google trying to be? Are they trying to be a Microsoft or Sony? Or are they trying to be the Disney of video games – an all-powerful monopoly that rules tech? And if you are attempting to compete with Sony and Microsoft – who, face it, at this point, are still very much Stadia’s competition - it’s important to note that it’s hard to sell a platform without games that users can’t find anywhere else. As of right now, Google has only announced the existence of one first-party studio, headed by Jade Raymond, formerly of Ubisoft and EA Motive. It’s hard to imagine that their first title will be ready by the time Stadia launches, so the question arises: what is Stadia’s Halo or Breath of the Wild? What’s the premiere experience that’ll define the platform for years to come, and justifies its existence? Game consoles have tried to survive solely on the promise of a unified ecosystem before – and we all saw how the early days of the Xbox One’s launch went. Finally – how much is this going to cost? This is presumably going to be a digital subscription service. How does Google support the cost of this technology in a way that favors the consumer? It would have been foolish to expect a price reveal today, but it’s a question that’s going to hover over Stadia’s launch until the moment that Google presents an answer. Google came into their conference promising that Google Stadia represented the future of gaming – gaming without a “box”, available on every screen in your home, and completely and utterly tied to a data center. I won’t contest that this is likely the future of gaming, but that future is likely decades away. Until the U.S. achieves a significant technological upgrade in terms of its internet infrastructure, Google Stadia isn’t the future, it’s simply an alternative. Maybe versions 3.0 or 4.0 of this technology will be the “console killers” that many pundits have warned of for the past decade, but as of right now, it’s reasonable to expect Stadia to exist, at best, as another, likely less reliable option for game-hungry consumers come the holiday season.